And when we say “falling out,” we mean that Kim Jong-un had two of his uncle’s “associates” executed, and that the uncle himself, who used to appear frequently by his nephew’s side, hasn’t been seen in North Korean media in nearly a month, according to South Korean intelligence officials. Maybe he’s just off in a cabin somewhere, writing songs about his ex-girlfriend. 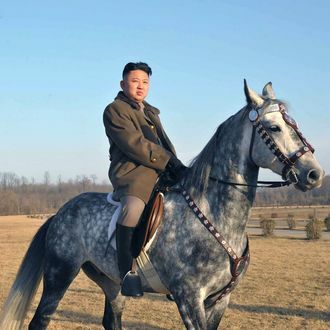 What Did Kim Jong-un Do to His Uncle?